Home / Christina's Resource Round-up! 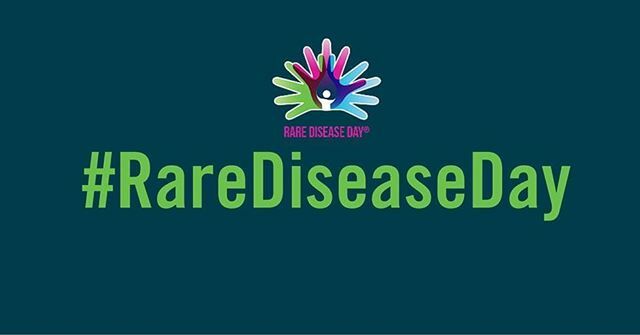 / Today is Rare Disease Day! What are some of the rare types of cancer? Rare cancers include (but are not limited to): astrocytoma, carcinoid/neuroendocrine tumors, cholangiocarcinoma, thymoma, cutaneous t-cell lymphoma, Ewing sarcoma, gastrointestinal stromal tumor (GIST), ocular melanoma, mesothelioma, multiple myeloma, retinoblastoma and thyroid cancer. See the full list here. Share your story via social media like Facebook and Twitter. Use the hashtags #rarediseaseday and #showyourstripes on your social media posts. Read more about the day and learn about organized activities here. Write your representatives to tell them why increased funding for rare disease research is important to you. Organize an awareness display at a local school or hospital.Don’t forget to share your recognition with #teamoncolink too! This entry was posted in Christina's Resource Round-up!, Homepage, OncoLink News. Bookmark the permalink.